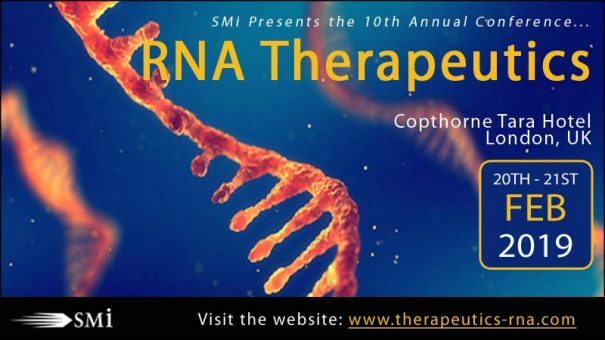 This year’s two-day conference (http://www.therapeutics-rna.com/pharphorpr) will provide a dedicated focus on these issues, in particular the challenges, as well as recent developments in delivery mechanisms. With a host of big pharmas, academics, pioneering biotechs, and government organisations, this year’s highly-anticipated event will feature top representation from within the RNA Therapeutics field. Visit http://www.therapeutics-rna.com/pharphorpr to register and take advantage of the £200 early-bird saving, valid until 30th November.